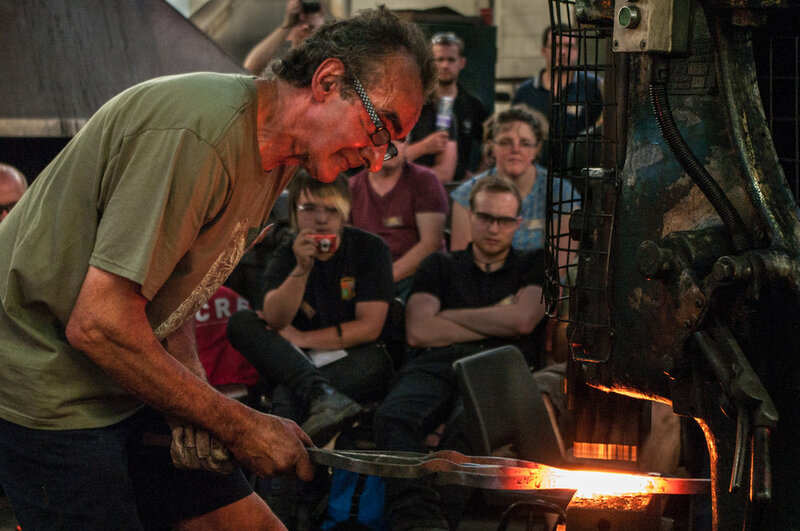 As a result of the vision of a handful of pioneers, and with some inspiration from abroad, the British Artist Blacksmiths Association was created in 1978, with 30 charter members. The organisation now numbers some 600 full members, with other overseas subscribers receiving our Magazine by subscription only. Our members come from around the globe. Most are professionals, but there are many students, amateurs, organisations and supporters contributing to the overall vitality. BABA is the collected and distilled essence of what makes blacksmiths similar to each other and different from those whose principle interests lie elsewhere. BABA is not exclusive and does not vet membership. In fact, the chief aim of the group is to share the knowledge, experience and fellowship we feel is necessary to maintain and forward the art. Offer an extensive list of books for sale on ironwork and related subjects. We welcome your membership should you decide to join us.